RADAN understands sheet metal manufacturing requirements and typical issues such as bend allowance and corner relief are all taken into account with RADAN 3D. 3D parts are automatically developed for onward processing into Radpunch, Radprofile or Radbend ensuring a smooth and efficient workflow from design to manufacture. 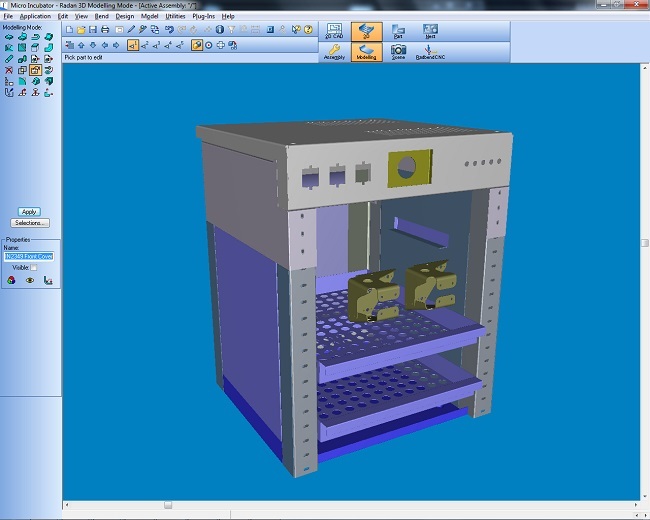 RADAN 3D works the same way sheet metal engineers think, providing an easy to use 3D modelling system for your current and future 3D requirements.